JNN 01 Nov 2014 Washington : The UN’s health watchdog, the WHO, says there are 60 days left to contain the Ebola outbreak, which has already claimed almost 5,000 lives. This is what you need to know about the killer virus. The virus lives naturally in animals, mostly in sub-Saharan Africa. The first two recorded outbreak were in 1976. The Ebola virus (EBOV) is one of five members of the Ebolavirus genus, four of which cause lethal hemorrhagic fever. It was previously called Zaire virus, after the country that is now called the Democratic Republic of Congo. 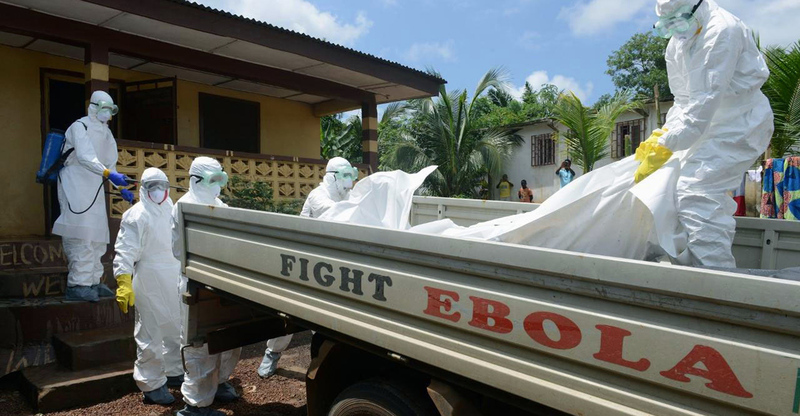 There are currently two separate Ebola outbreaks underway. In addition to the one in Western Africa, which has already spread to the US and Europe, there is another one in the Congo. Ebola’s high mortality rate and gruesome symptoms have given it the air of something out of a horror movie. But statistically speaking, the virus was a minor threat, with outbreaks quickly fading out claiming a few hundred lives at most. So it’s not surprising that institutions researching infectious diseases never invested many resources into finding a cure, preferring to spend money on more wide-spread (and, cynically speaking, more profit-generating) threats. The countries affected by the current outbreak are poor, their healthcare systems are rudimentary, and the tradition-dictated hygiene habits of many of its citizens are not suitable for stopping the infection. Where Western countries can rally experts in biohazard suits, quarantine every person a suspected carrier had contact with and run blood tests, countries like Guinea, Sierra Leone, and Liberia have neither the resources nor experience to take such measures. And the problems only start with healthcare: the epidemic spreads panic, fear and violence, causing deterioration in whatever social order is in place. Or at least not as well prepared as it should be! Even if Ebola manages to get into developed nations with some travelers slipping through airport cordons, the spread of the virus would not be large. It takes between four to 21 days for an infected person to become contagious, which means once a case is discovered, everyone who had contact with the person can be quarantined and tested before they can spread the disease. Battling the outbreak is difficult and costly. The WHO estimates that by November there could be 10,000 new cases of the disease each week in two months, unless it’s taken under control. This would require having 70 percent of infected people in a care facility and 70 percent of burials done without further infections. Otherwise the breakout would reach a stage, for which there is no plan. This entry was posted in AFRICA, America, Articles, Europe, United States and tagged Democratic Republic of Congo, Ebola outbreak, Ebola outbreaks, Ebola Virus, Sub-Saharan Africa. Bookmark the permalink.